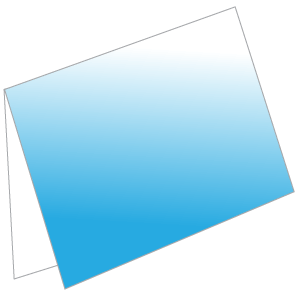 Folded cards are generally double-sided printed in 4-colour and/or black. They normally include a photo or graphic and your prepared text. Pricing varies with paper type and envelope. Cards can be custom designed and printed with a bleed (to edge) or without a bleed.